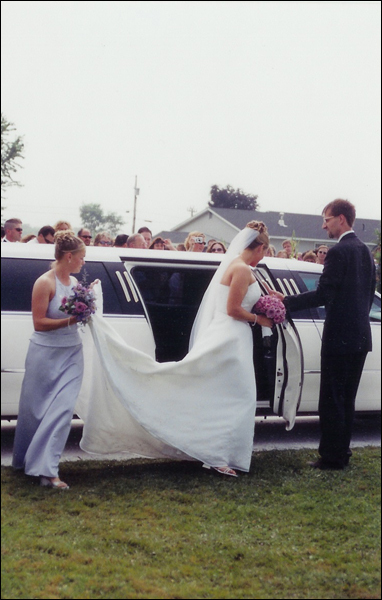 Our stretch limo is a white Lincoln Limo featuring a 5th door known as the bridal door. This large door at the front of the stretch provides easy access for brides in and out of the vehicle. 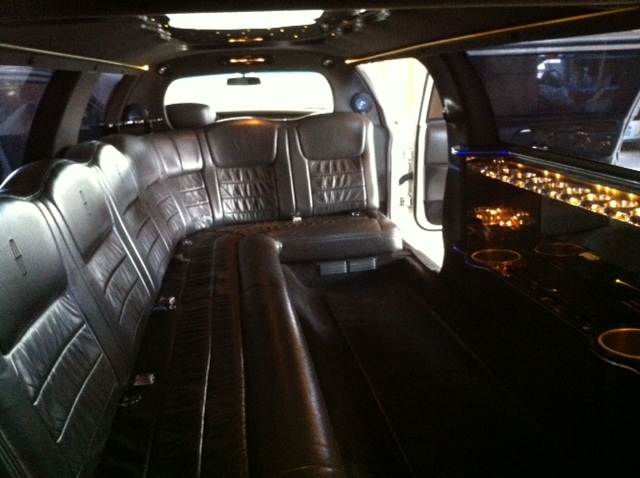 The stretch limo features a television, curved leather seating, interior lights and mini bar set. The limo holds up to 10 passengers.